Is a China-India ‘Reset’ in the Cards? 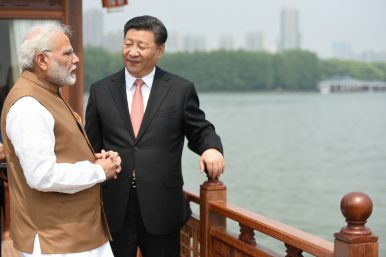 The “informal meeting” between Indian Prime Minister Narendra Modi and Chinese President Xi Jinping at Wuhan has raised hopes for a reset between China and India in the mold of Prime Minister Rajiv Gandhi’s groundbreaking visit to Beijing in 1988. During that visit, Gandhi and his host, Deng Xiaoping, relaunched the China-India relationship after a rocky period and pushed to decouple it from their troublesome territorial dispute. The summit proved a turning point which paved the way for a massive improvement in Sino-Indian relations in the 1990s and the early 2000s. There will be a huge shortage of skills in emerging technologies among our information technology (IT) companies such as in the areas of analytics, big data, cloud, artificial intelligence (AI) and automation. The NITI Aayog National Strategy for AI, released this week, notes India will face a demand-supply gap of 200,000 data analytics professionals by 2020. Further, Gartner, an American research and advisory firm, says, 60 per cent of Indian companies looking to advance their data and analytics maturity will by 2020 cite non-availability of talent in these areas as the single biggest inhibitor of adoption and growth. Testimony presented before the Senate Homeland Security and Government Affairs Committee, Subcommittee on Federal Spending Oversight and Emergency Management, on May 9, 2018. Testimony In Brief. This report is part of the RAND Corporation testimony series. RAND testimonies record testimony presented by RAND associates to federal, state, or local legislative committees; government-appointed commissions and panels; and private review and oversight bodies. Permission is given to duplicate this electronic document for personal use only, as long as it is unaltered and complete. Copies may not be duplicated for commercial purposes. Unauthorized posting of RAND PDFs to a non-RAND Web site is prohibited. RAND PDFs are protected under copyright law. For information on reprint and linking permissions, please visit the RAND Permissions page. 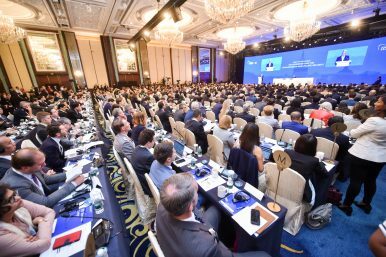 The Diplomat‘s Ankit Panda (@nktpnd) and Prashanth Parameswaran (@TheAsianist) discuss themes from the 2018 Shangri-La Dialogue in Singapore. Click the arrow to the right to listen. If you’re an iOS or Mac user, you can also subscribe to The Diplomat’s Asia Geopolitics podcast on iTunes here. If you use Android, you can subscribe on TuneIn here. If you like the podcast and have suggestions for content, please leave a review and rating on iTunes and TuneIn. What Is China's Objective With the 2018 16+1 Summit? Ahead of this July’s 16+1 summit in Bulgaria, Chinese officials are busy trying to sell the idea that Beijing’s outreach work in Central and Eastern Europe (CEE) is about “win-win” cooperation. 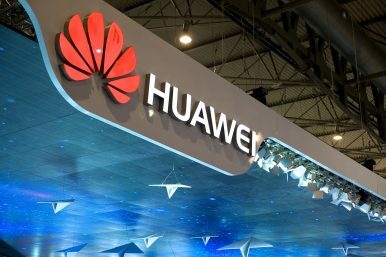 The summit, launched in Warsaw in 2012, brings together 16 CEE countries, including 11 EU member states, with high-ranking Chinese officials, ostensibly to foster economic cooperation and investment. 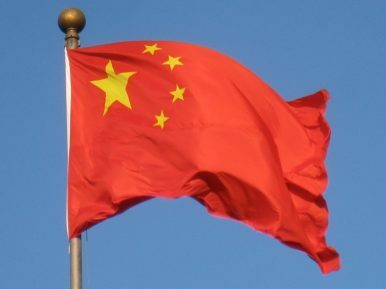 Many leaders, pundits, and experts, however, fear that the Chinese-driven initiative is nothing more than a Trojan horse, threatening to undermine EU norms, disadvantage Western investors, and spread corrupt development practices amongst vulnerable democracies. But are they right or is this just European Sinophobia? Trans-Pacific View author Mercy Kuo regularly engages subject-matter experts, policy practitioners, and strategic thinkers across the globe for their diverse insights into U.S. Asia policy. This conversation with William Plummer – former vice president of external affairs at Huawei for eight years and previously senior executive at Nokia and U.S. Foreign Service Officer – is the 142nd in “The Trans-Pacific View Insight Series.” Describe the global ecosystem of information communication technologies (ICT) and key issues in ICT governance. Successful foreign policy requires combining the various instruments of national power to produce a desired positive outcome. Because each state coexists with many others, in practice this means using those instruments to persuade both allies and adversaries to act in ways that will further the state’s own interests. Thus, an effective foreign policy depends on an accurate understanding of other states’ preferences and how they are likely to respond to one’s own initiatives. The Joint Information Operations Warfare CenterJoint Information Operations Warfare Center wants to know the realm of the possible. Knowledge is power, and the Defense Department wants to ensure it can outpower any enemy in any domain. But first, it needs to know what is technically possible and how industry can support those efforts. Information warfare—controlling the flow of information in and out of a battlespace to gain a tactical edge—is one of the oldest military tactics in existence. But with the rise of the internet and other advanced communications technologies, it is fast becoming a core tool in every military’s playbook. In February 2017, Russian military leaders announced the existence of an information warfare branch, replete with troops trained in propaganda and other information operations. In the U.S., these duties are performed by troops in the Joint Information Operations Warfare Center. Merkel and Macron: edging towards change? Now is not a comfortable time for a country like Germany – or at least, a government like Germany’s. With states large and small challenging multilateral agreements, and a disintegrating “international community” standing apart from regional conflicts even as they spill across the world, any country relying on order, rules, and due process is taking a gamble at best. This situation is particularly unsettling to Germany, which is a sizeable actor but whose history and contemporary political culture make it a power dependent on working with others. The country certainly has significant leadership potential, but Germany best applies this in process management and incentivising other players that follow a similar order-centric rationality. 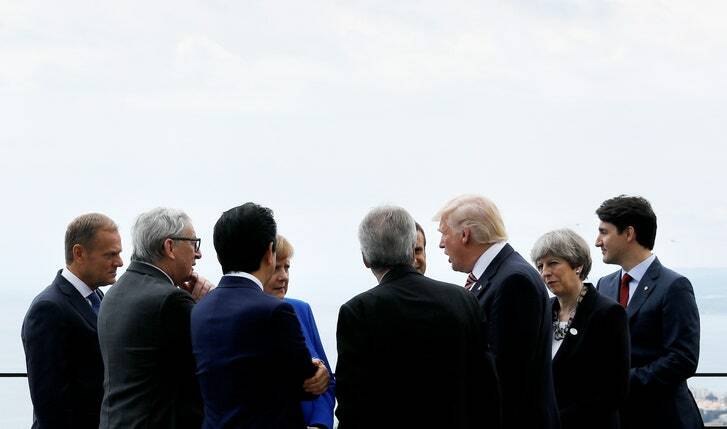 Because of Germany’s global economic links and through the vulnerability of its primary habitat of the European Union, the political class here is particularly sensitive to changes in the international climate. The nervousness within government circles is growing. As a general proposition, the security of nuclear and radiological materials has been a global concern since the disintegration of the Soviet Union, when there were fears that these materials and expertise from Soviet Union would fall into the wrong hands. But the issue only really gained serious attention only after the 9/11 terrorist attacks in the United States. 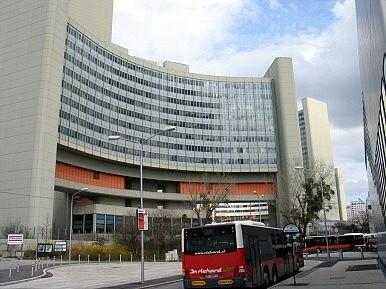 In its aftermath of the incident, there were genuine worries that terrorists may get hold of these materials.The fears are not unfounded – according to the International Atomic Energy Agency (IAEA) Incident and Trafficking Database (ITDB), there were a total of 2,889 confirmed incidents involving nuclear and radiological materials between 1993 and 2015. Though only around 25 countries around the world have nuclear materials in their possession, radiological sources are far more widely available because of their dual-use nature and their use for medicinal, industrial, and agricultural purposes. Protests and strikes against President Michel Temer's administration, which have exposed the political consequences of Temer's economic liberalization reforms, could continue if fuel prices remain high. Right-wing candidate Jair Bolsonaro, who has been running on a "law and order" agenda, could benefit from the disorder caused by these protests and Temer's perceived inability to deal with them. Social upheaval and the need to find a unity candidate ahead of the October general election will force Brazil's political establishment to slow the pace of economic and trade liberalization reforms in the next quarter. The battle for the soul of the Army is, once again, engaged. Doug Macgregor, best known to Army aficionados for his book Breaking The Phalanx and more recent studies on Joint maneuver warfare, called out the service in an op-ed we published Monday. The Army, he argued, would once again botch procurement of new weapons, as it did with the Future Combat System (FCS) and a whole raft of earlier modernization efforts. The effort to institutionalize Army modernization in Army Futures Command is bound to fail, Macgregor argued. Today, we publish a vigorous rebuttal of Macgregor’s views by the CEO of the Army’s doppleganger, the Association of the US Army. Retired Gen. Carter Ham offers this well written and pointed response, arguing that the top Army leaders know what the service has done wrong in the past and possess the will and intelligence to do it right this time. SASC Seeks Sweeping ‘Roles & Missions’ Report: Wither The Marines? While its provisions cover topics ranging from swarming robots to “construction and maintenance of public works in Cis-Lunar Space,” its overwhelming focus is reorienting the military from a generation of guerrilla warfare to great power conflict with China and Russia. From reading Section 1041 of the draft National Defense Authorization Act, talking to Senate staff, and tracking years of SASC reform proposals, it’s clear SASC chairman John McCain thinks the services are making that shift far too slowly. McCain has long sought to revisit the landmark 1986 Goldwater-Nichols Act which laid the foundation for the modern military, and now he may have found an ally in Defense Secretary Jim Mattis. Goldman Sachs is using cyber security war games so that its technology staff will better learn how to fight and prevent threats that could harm the bank and its clients. According to the Financial Times, Goldman is the first financial institution to sign up with U.K.-based Immersive Labs, which offers learning tests and war games on cyber threats. Immersive was able to create a tool just four hours after the WannaCry malware attack became public that enabled users to analyze how the ransomware behaved so they could create prevention antidotes. TechRepublic's Dan Patterson talked with Munish Walther-Puri, chief research officer of cybersecurity services provider Terbium Labs, about how personal and company data ends up on the dark web. Patterson: It's no secret that stolen data ends up on the dark web, but how does it get there and who are the parties involved. ... Let's start with the incident. When a data breach occurs and sensitive data, whether it's (personally identifiable information) PII or intellectual property or anything else, is exfiltrated from an enterprise company's site, or even an SMB and a startup, who takes that data, and then where does it go? What is the transit path? An MQ-9 Reaper, assigned to the 62nd Expeditionary Reconnaissance Squadron, armed with four GBU-38 Joint Direct Attack Munition parks on a flightline before a mission on Kandahar Airfield, Afghanistan Feb. 22, 2018. The 62nd ERS provides close air support, intelligence, surveillance and reconnaissance capabilities in Afghanistan. Over three administrations and 16 years, there has been nothing as iconic in the United States’ forever war on terror as the matchstick-with-wings silhouette of the modern drone. 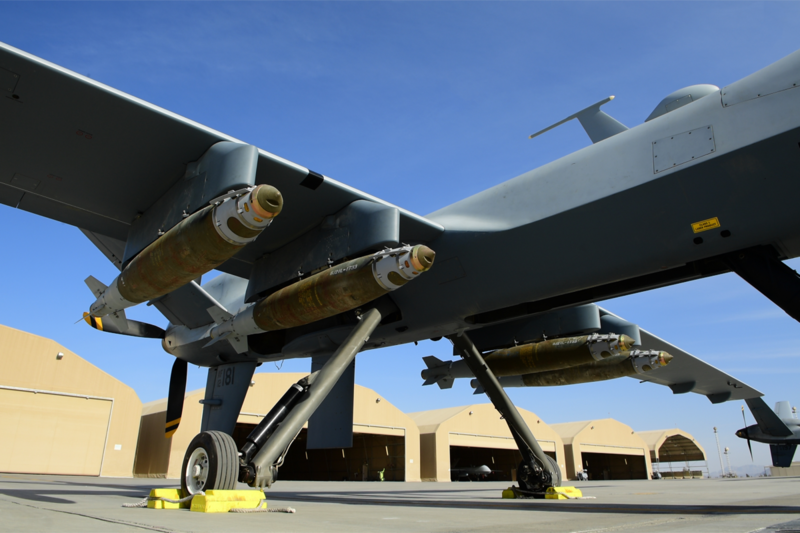 Understanding the drone program has never been easy; the covert nature of some of the program, as well as a strong executive emphasis on the needs of national security, meant that even at its most transparent, the drone war was largely opaque. In its third report on drone policy, the Stimson Center finds that after a gradual movement towards more transparency by the end of President Obama’s second term, the Trump administration has fully reversed course. The dynamics of cyber warfare have changed so dramatically that nation-state attacks are now a problem everyone needs to face up to, the former head of the UK's intelligence agency has warned. "Five years ago we were aware of nation-state attacks but we would've seen them as something that only a nation-state needs to worry about. Today they're a problem for everybody, as we've seen over the last year," said Robert Hannigan, who served as director general of GCHQ from 2014 to 2017. Those cyber campaigns blamed on nation-states in the last year include the WannaCry ransomware outbreak - which has been attributed to North Korea - and a Russian-government backed campaign targeting home routers across the west which US and UK authorities warn is designed to conduct espionage and potentially lay the groundwork for future offensive cyber operations. When Angela Merkel visited her party's parliamentary group in mid-April, she didn't talk about how she wants to change the pension system. Tolls on German highways were also not on her list, nor were all the problems with diesel emissions in the country. She didn't even complain about the Christian Social Union (CSU), the outspoken Bavarian sister party to her Christian Democrats. Instead, she wanted to talk about the Peace of Augsburg, signed in 1555. If, say, the Russian government hacks the 2018 midterm elections using infrastructure located in Ukraine, the United States might want to respond. Today, experts say that U.S. officials have not publicly acknowledged they could forgo permission from the Ukrainian government to hack-back. 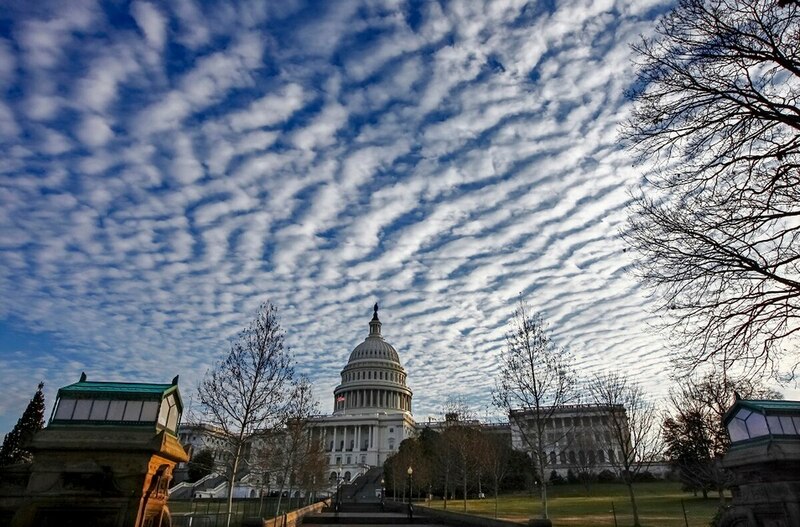 But in its version of annual defense authorization bill, the Senate Armed Services Committee proposes bolstering America’s cyber prowess through a collection of new funding and programs. Included in the measure is a provision that means the U.S. would not need to ask-first before responding to cyber interference. Until recently, city leaders thought of smart technologies primarily as tools for becoming more efficient behind the scenes. Now technology is being injected more directly into the lives of residents. Smartphones have become the keys to the city, putting instant information about transit, traffic, health services, safety alerts, and community news into millions of hands. Today, cities are moving beyond the pilot stage and using data and digital technologies to deliver results that are more relevant and meaningful to residents. Why Are We Buying The Army’s Big Six? What Will They Do?